Aedas have led the preparation of a masterplan and concept architecture and landscape for large new integrated resort and leisure destination, located in Cairns, Australia.The site is located in an ecologically sensitive area, forming a natural flood plain and retention basin, all set in a pristine estuarine habitat. Built around a man made lagoon, care has been taken to create a natural habitat whilst also forming an attractive setting to the development. From the two main boulevards, a entry plaza and water feature will greet visitors, which opened up a themed world of lush tropical pools, terraces and event spaces, offering a safe and protect environment for visitors to relax and play. Aedas have led the preparation of a masterplan and concept architecture and landscape for large new integrated resort and leisure destination, located in Cairns, Australia. The site is located in an ecologically sensitive area, forming a natural flood plain and retention basin, all set in a pristine estuarine habitat. Built around a man made lagoon, care has been taken to create a natural habitat whilst also forming an attractive setting to the development. 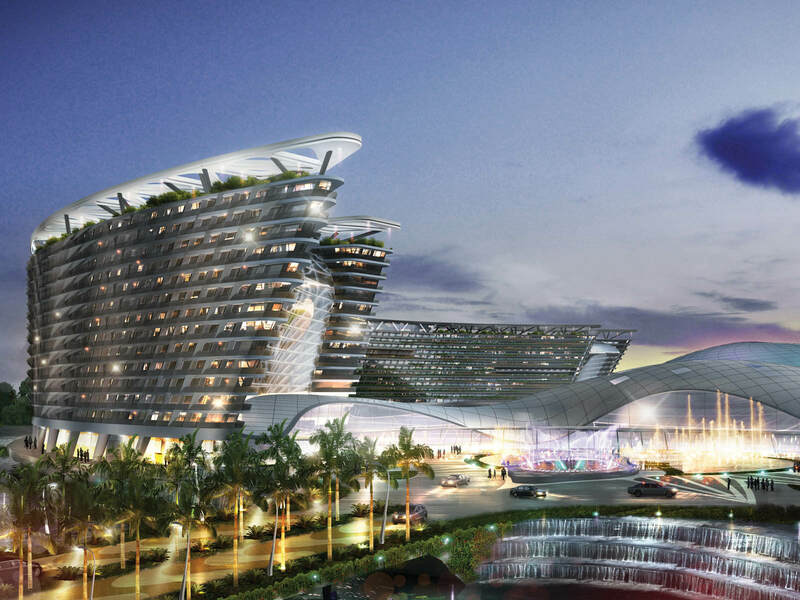 From the two main boulevards, a entry plaza and water feature will greet visitors, which opened up a themed world of lush tropical pools, terraces and event spaces, offering a safe and protect environment for visitors to relax and play.